A cookie base, with a coconut whipped cream filling, topped with a berry swirl. 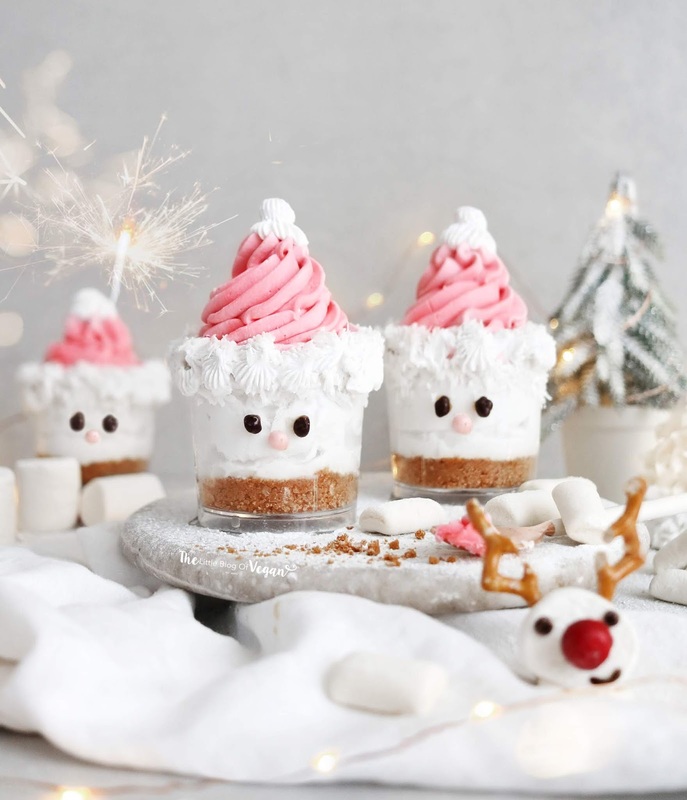 These little Santa pots are the perfect after-dinner treat, they're not super sweet or too rich. The cookie base along with the coconut cream filling is scrumptious! Ultra creamy & moorish. Great for the whole family to get involove in making! The cream I used is the Natures Charm 'coconut whipping cream'. 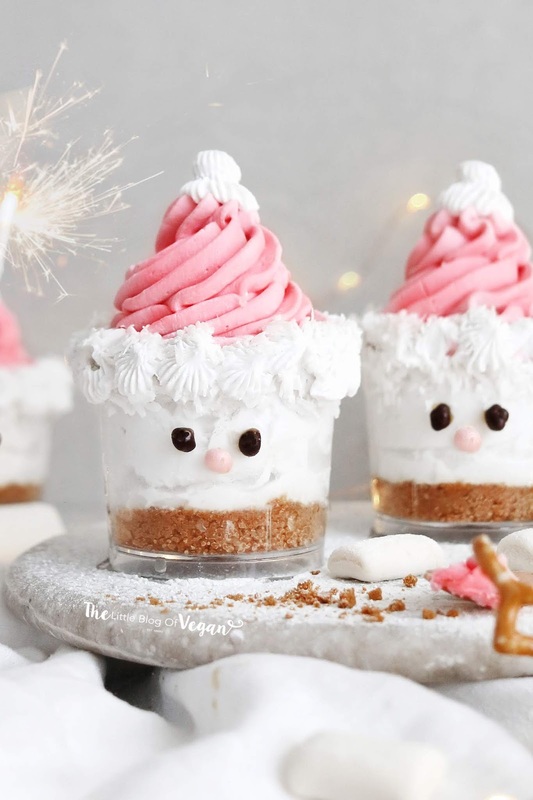 You can always use a vegan coconut cream, coconut whip or squirty cream. I used the Natures Charm cream as it whips up into a really lovely thick cream, which I then added an extra teaspoon of coconut extract for a more added flavour. Step 1- Melt the coconut oil and place into a bowl, along with the crushed cookies and mix until like wet sand. Step 2- Add 1-2 tablespoons of cookie mixture into some serving glasses/cups and press down until packed. Step 1- Place the whipping cream into a bowl and whisk until light. I use my stand mixer fitted with the balloon whisk attachment. Step 2- Add in the vanilla & coconut extract and whip to combine. Step 3- Place 1/3 of the mixture into a separate bowl and set aside. Step 4- Divide the remaining whipped mixture on top of the cookie bases. Step 5- Into the 1/3 mixture, add in 1/4 teaspoon of strawberry extract and strawberry powder, gently mix to combine. 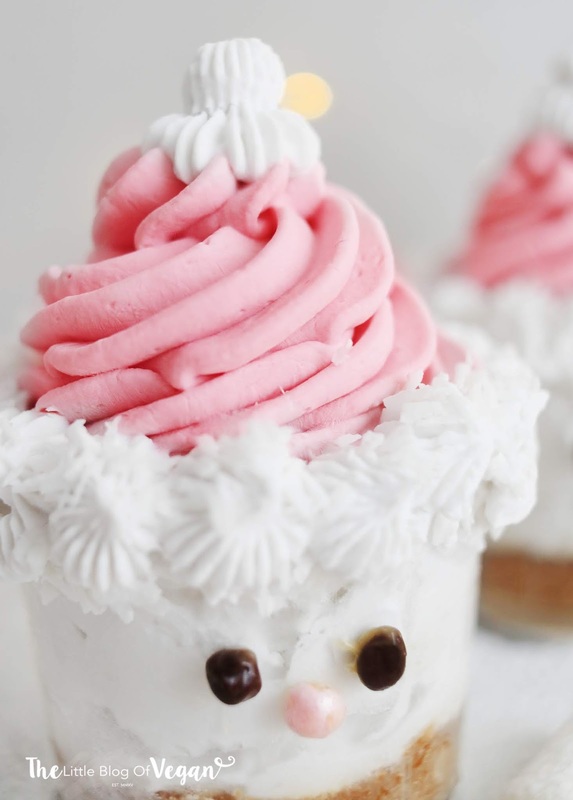 Step 6- Add the pink whipping cream into a piping bag fitted with an open star tip nozzle and pipe a swirl on top of the pots. This creates a santas hat (As seen in the photos). I decorated the pots with cacao nibs and a sprinkle for the nose to bring the Santas to life. 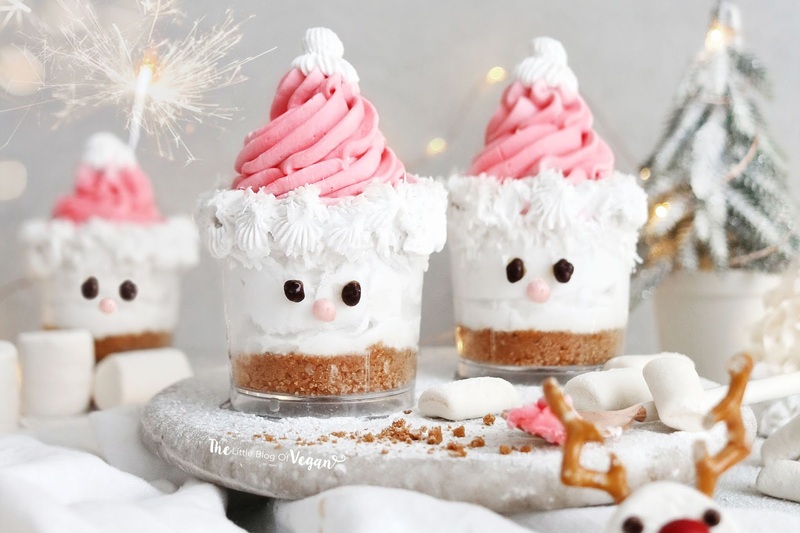 These are so cute Holly! I wouldn't want to eat them! which gives you best review about the best places to dine in cities of India.